Divorce is a scary and stressful time for everyone involved. You have many questions running through your head and no idea who is the best person to answer those questions. 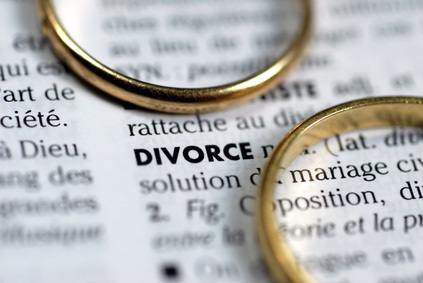 Here at Hawk Professional Investigations we are involved in over 200 divorce cases a year; if we cannot answer your question, we have a network of professionals, including attorneys and therapists that we can refer you to. There are many investigations that are helpful in a divorce, whether you suspect your spouse of cheating or not. The purpose of any investigation is to find out the truth and that is what Hawk Professional Investigations does for you. We’re here to help you in this trying time. Take the first step toward resolving your personal concerns and achieving peace of mind by contacting us today. How can I prove my spouse is being dishonest? At Hawk Professional Investigations we utilize professional techniques and expertise cultivated through extensive training and years of experience to acquire important evidence of your spouse’s betrayal when it counts the most. Investigators will conduct discreet surveillance using state-of-the art video, photography, and covert equipment to document your spouse’s activities. Evidence of infidelity, hiding of money or assets, illegal activity, or parental conduct can help in domestic, civil, or criminal hearings and litigation. Is your spouse exposing your children to people you feel are untrustworthy? Do you believe there is something in their past that could be a danger to you or your children? Has your spouse been secretive of their past? Hawk Private Investigations’ Background Investigations will uncover the truth about their past and set your mind at ease. If you suspect your partner or spouse is cheating on you or you need to prove marital infidelity, a Cell Phone Forensics Investigation can provide answers and preserve the evidence for legal action. Subtle indicators that you are being lied to are conveniently hidden from your view and possibly stored inside digital media devices such as cell phones, tablets and other devices. In addition to proving infidelity the information contained in these media storage devices is also highly fundamental in divorce proceedings in the separation of assets, particularly in cases with larger estates, complicated businesses, real estate holdings or multi-jurisdictional assets. Hawk Professional Investigations can identify the truth by examining these media devices to discover what websites, e-mails, instant messages, phone calls, financial records, debt information, inappropriate content and other pieces of useful information that may be available. Once the information is collected and analyzed, you will then have the evidence you need to manage your divorce effectively. Do you believe your house is being monitored? Has someone placed listening devices and/or cameras in your house? Hawk Professional Investigations’ TSCM Sweep Team can uncover all types of eavesdropping devices. Has a keylogger or other spyware been installed on your mobile device or computer by a soon to be ex-husband or ex-wife? These programs can transmit everything you see and do on your computer or mobile device to the person who installed it. This can enable them to stay one step ahead of you and may impact the terms of your divorce, child custody agreement, and asset separation, and give them constant access to many aspects of your life. Do you think your spouse is going somewhere besides work? Are they taking the children somewhere they shouldn’t be? GPS tracking can answer the question for you as to where the vehicle is at all times. Are you in need of an attorney? Want to know of a reputable therapist in your area? Hawk Private Investigations’ network of professional referrals in Georgia and throughout the United States is available to you. Find out more about Professional Referrals.